But fear not, we gathered some ingredients for DIY hair-masks. The masks are easy and the only thing you need is a trip down to your local supermarket. Read along, and you find hair-masks for following hair types: Dry hair, greasy hair, frizzy hair and for damaged hair. Ingredients: 3 egg yolks,1 tablespoon juice from a lemon and 1 big tablespoon almond oil. How to: Mix all the ingredients together and rub it in your hair. Let it dry a bit, and then wash it out with cold water and then with lukewarm water. Ingredients: 3 tablespoons acacia honey, 3 tablespoons olive oil, ½ banana. 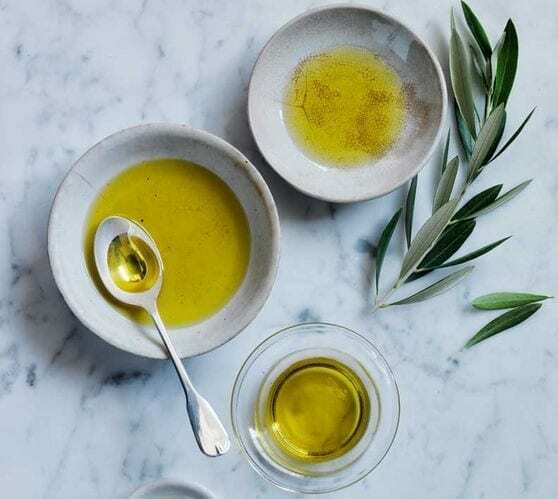 How to: Mix the ingredients and massage the mask into your hair. Wash out after 3 minutes. Ingredients: 5 tablespoons yoghurt naturel, 1 tablespoon baking soda, 1 tablespoon juice from a lemon. How to: Mix the ingredients and apply it to your hair. Massage your scalp thoroughly. Put a plastic bag around your hair and let the mask work for an hour before your wash it out. If your hair is dehydrated, it appears dry and frizzy instead of smooth and defined. If you know the struggle, try the avocado mask. Ingredients: ½ avocado and choose between 1 tablespoon mayonnaise, 1 egg yolk or 1 tablespoon sour cream. – it gives the mask some extra moisture. How to: smash the avocado and mix it with the chosen ingredient (mayonnaise, egg yolk or sour cream). Massage the mask into your hair and let it work for 15 minutes, and then wash it out. Last but not least, a hair mask that works for many different types of hair. Ingredients: same amount of olive oil, coconut milk, honey, sesame oil and eggs. How to: Mix the same amount of everything in a bowl and massage the mask into your hair. Let the mask work for at least 2 hours, and if it’s possible wait till the morning after before your wash it out. Time for a takeover! This post is written by Meredith Zacharias. Meredith Zacharias is the writer behind HairClippersClub.com who’s obsessed with beauty and natural skincare and she is passionate about helping others especially men in grooming their hair. don’t know what to do, the best alternative is to refrain from trying it. right ph level. Different dyes and hair color products recommend varied methods of application. user instructions on the package to be sure. Before you pick a dye to style your hair in a desired color, take time and assess your style needs. colorist will have ready remedies if a procedure goes down south. the left over dye. If carefully preserved, it can be used next time. will lead to accidents or you might do a shoddy job with a shoddy outcome. After coloring your hair, you need to acknowledge that the results are likely to fade with time. Even though you are observing the right maintenance procedure, your hair will grow and fade. have to retouch once to twice annually. To keep your hair color set and looking sharp, you need to avoid activities such as swimming. restore the shine and prevent further breakage. complement it while giving you good value for money. Remember to patch test before colouring, read our post about it here. And remember that you always are welcome to write to us at NATURIGIN through our social media sites, if you have any questions. Sun-kissed hair may look good, but the constant sun exposure and all the bathing is rough for your hair. Every hair is different, different colours and structures, but one thing is sure, whether your hair Is coloured or not, the sun is not a friend when it comes to hair. 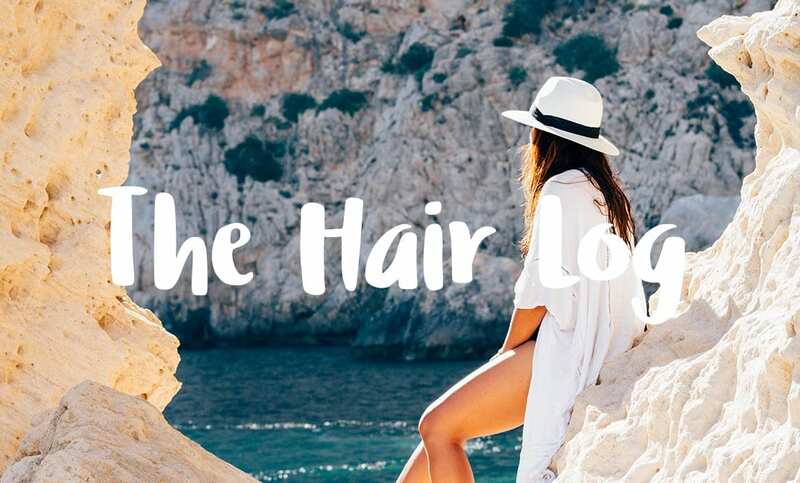 Therefore, we listed some tips and tricks, to keep your hair healthy during the summer. So unless you are planning on staying indoors all season, read how you protect your hair against the damaging UV rays, salty water and pool chemicals. So before you are planning trips that involves sun exposure, get your hair trimmed. A haircut will remove any dry, split ends, and allow you to go around all summer with rocking your long locks. Long hair Is beautiful, but dry and brittle hair is not a good look or optimal hair health, so a fresh haircut now, and then one more when the summer ends and your hair is damaged by the salt water and the sun. If you want to minimize the damage swimming pools cause, simply wet your hair before going for a dip. If your hair is already wet, the hair is less likely to absorb the chemicals from the water from the pool. Also try to add a handful of conditioner, for extra hydration. A good intensive conditioner will provide further protection from the drying effects of the sun and the sea. While we are at it, don’t over-wash! Your hair gets greasier during the summer, because your sweating more, but washing your hair to often will only make things worse. Minimize your shampoo use so much as possible, try to wash your hair every three days. Try to use a dry shampoo instead. As always, heating tools is a no go, if you want healthy hair, but especially during the summer. Avoid blow dryers or other high temperature tools during the summer, and let your hair dry naturally. The more heat, the less natural moisture.